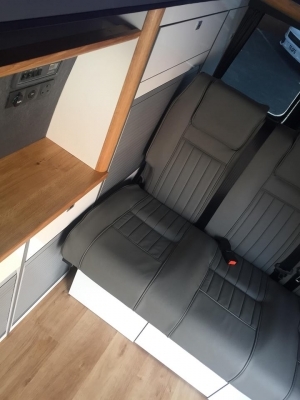 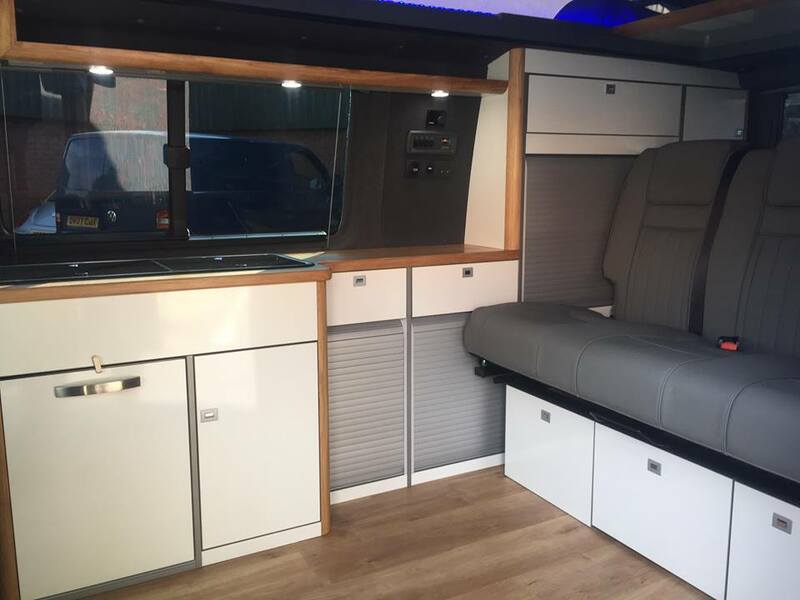 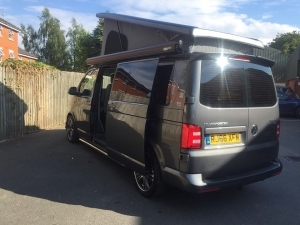 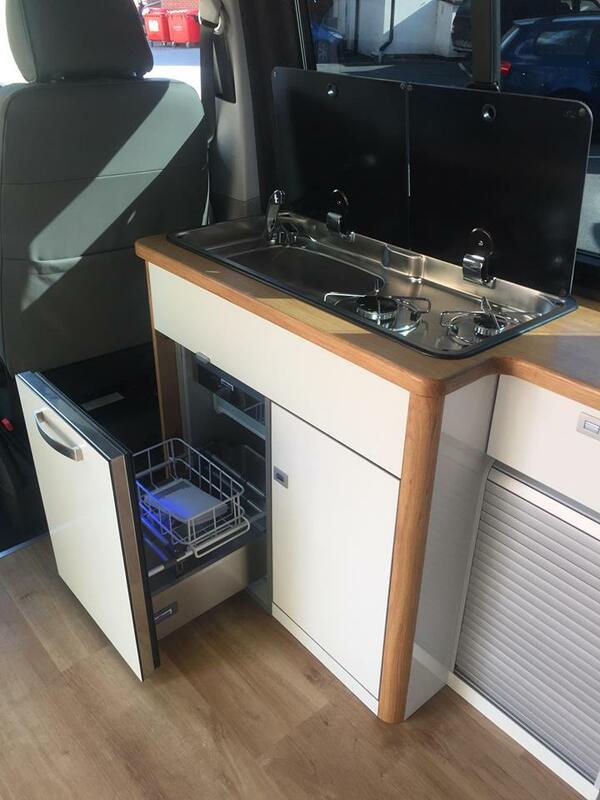 T6 LWB in indium grey fitted with Reimo easyfit elevating roof and roof bed, 130 RIB seat bed wih a fabulous full leather re-trim in grey, DW bespoke furniture kit with stunning white sparkle wrap, finished with handcrafted oak worktop and returns. Bill and Debbie choose to have VB air suspension fitted to thier van for comfortable ride and easy self leveling when camping. 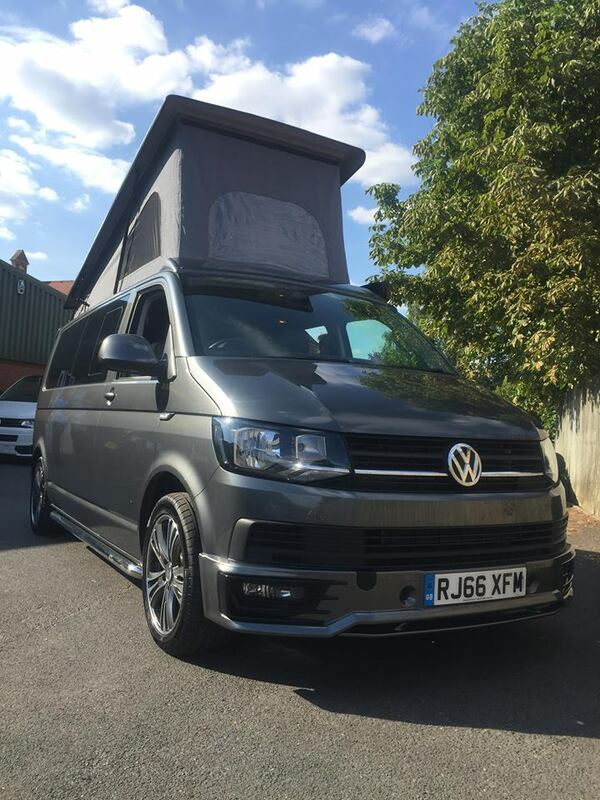 We wish you all the best with your fantastic new camper.